Home Entertainment "If Music is anybody's Passion, then he should sing in a choir!" As Train and Seph battles it in a Car Interview with Gbetu Tv. "If Music is anybody's Passion, then he should sing in a choir!" As Train and Seph battles it in a Car Interview with Gbetu Tv. Its interesting when you catch two music Trailers on a spot, with contrary opinion of the game they play daily. This is what happened between Train, Mr Rumba and Seph, All Girls Desire, as Gbetu Tv caught up with them on an 11mins interview, discussing music. I must say the heat was really on Train. But 300 friend request daily? Em! Seph? Anyways, Train believes on informative music, he believes music without a particular information to grasp is waste of time. We know most artist these days ignore the message and go for the sound. They would rather make lots of sound, hide behind beats and to help their ministry add a little rhyme so people can sing along and if production is right, DJs will pick it up and you trend. Typing from a professional promoting point of view. Seph on the contrary, went prophetic. He thinks your hunger determines the kind of music, he also means this literarily. He believes when you are hungry, you are better inspired than when you have. The other is the audience hunger. Due to the diversified audience we have and the flow of trend, now popular is beat and dance step like "trap" that leads to "dab", Seph says he follows this to create his music. Number of times when interviewing an artist on whether music is business or pleasure, aside it been a passion, most say pleasure. Seph passionately and frankly interject thought, saying its a lie. To him, he says it is business. He defends this saying, no man will spend money and not aim to make money. Knowing how much it takes to promote, music audios and videos, aside recording and shooting, Gbetu agrees with this but not Train. Train accepts music as his pleasure. In defence, he says, if you go out with the mind set of making money, it might lead to frustration and what will happen when you don't make it? But 'on end line' he believes money is priority. Train a.k.a Mr Rumba, a.ka. 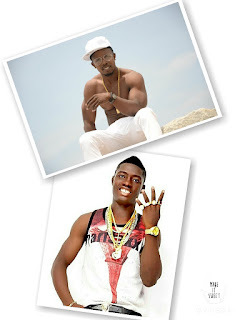 Mama eh and Seph All Girls Desire are two of the fastest rising artist in Lagos and Nigeria as a whole. They have shutdown Surulere, Mushin, Akoka, and Ikeja and aim to do more. Train who has dropped three viral videos and audios - Rumba, Club on Fire and Money 1st, featuring Dj Baddo, Dj Rexy, Fadaka Louis, Mr Save, Tush Gang, Ten-Ten and lots more while Seph recorded his 70th stage performance on 18th of November, 2016 and is currently viral with his third hit single "MTCN Wire". Related: Five hot photos of Train aka Mr Rumba and how far he has gone in the Music Industry. At the end, quoting Seph directly, "Anything that is bringing you money, passion will follow". Do you agree with this?